What should I say about the 2015 edition of Bieg Piastów? Lauds, as most often. The 50 km classic race on Saturday took place at a temperature around zero degrees but fortunately it didn’t snow and waxing was simple: violet or multigrade klister covered with stick to avoid freezing. That is valid for tourists, champions don’t wax any longer! Indeed the course of Bieg Piastów is relatively flat: only two long but mild climbs at 9 km and a more difficult one at 40 km. A lot of double poling on tracks nicely frozen. To be noted: very beautiful tracks, with a flattened area each time this was preferable (descents, tight curves). Bravo! This year a few breaks in the clouds allowed admiring the scenery. 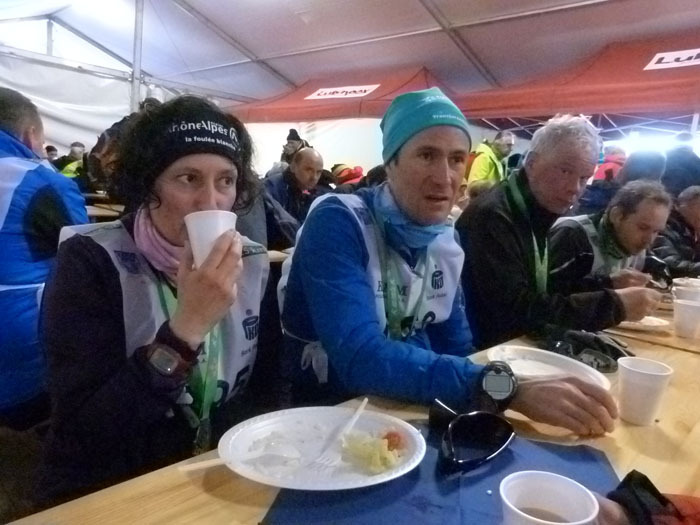 At km 21 the course passes near the finish line where spectators and friends can encourage the skiers. Food stations were well equipped but maybe insufficient in number: nothing between kms 9 and 23 in spite of the first hard climb. Only one regret: no waxing station at km 40 when the slope steepens and the wax gives less grip on a snow that had become warmer. A question. Why announce 50 km when there is certainly one km more? 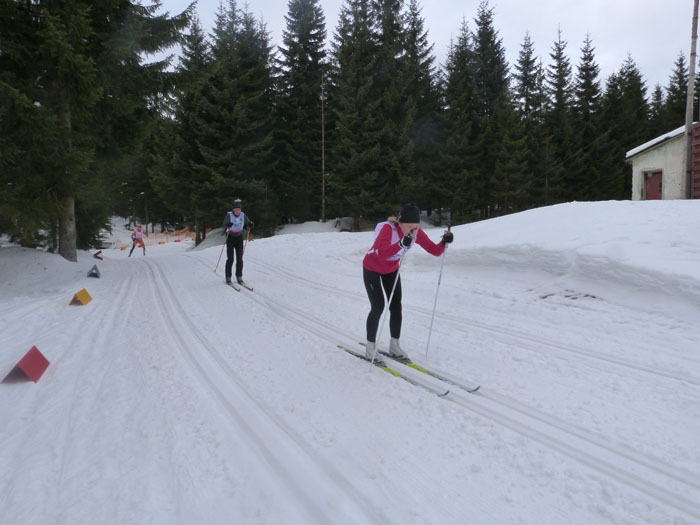 On Sunday, the two short races: 30 km FT and especially the 25 km CT attract more and more skiers. Bieg Piastów is a popular race, open for a wide public, participants are calm people and this is quite fine. Nothing to reproach on the 30 km skate event; a hillier course than on Saturday, excellent tracks… the fastest skiers (less than 3 hours) escaped the snowfall! It was worse for the slower skiers who had to confront a falling snow and an unpleasant head wind. Nothing to reproach, if not… why announce 30 km if it was only 27 km? The 25 km classic race that started one hour after the skate event on a different course allowed less experienced skiers to finish a beautiful real competition. Everybody did not have a technique or a power of a champion, but everybody was however a real champion whose happiness at the finish was catching in spite of the continuing snowfall that the skaters more or less escaped. To be noted that on Friday more than 1000 skiers participated in the classic 15 km race! In summary, a race worthy of Worldloppet, with a very beautiful reception of Masters on Friday evening, nice gifts (cap, scarf, towel), a correct meal at the finish, the good idea to assemble everything in Jakuszyce, including the bib distribution, frequent shuttles between Szklarska Poreba and Jakuszyce. But many skiers did not receive stickers in the bib package, the local sign-posting is insufficient and the empty clothing bags not given with the bibs and difficult to find. Details. Boris Petroff (FRA) 2h04 ; Bernard Touffait (FRA) 2h39 : Marie-Hélène Touffait (FRA) 3h47 ; Jerzy Sobiegraj (POL) 2h36 ; Leonid Golubkov (RUS) 1h30.